Astronomy Contributing Editor Steve Nadis has just produced a book along with Shing-Tung Yau of Harvard University that will be of great interest to students of astronomy. 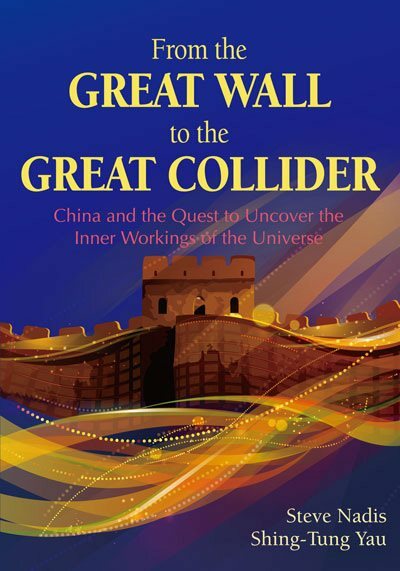 The book is From the Great Wall to the Great Collider: China and the Quest to Uncover the Inner Workings of the Universe (167 pp., hardcover, International Press of Boston, Somerville, Mass., 2015; $29.50, ISBN 978-1-57146-310-4). This work is about astronomy, China, and also particle physics! It covers the 2012 discovery of the Higgs boson and its triumphant mark on completing the so-called standard model of particle physics. With those celebrations still underway, researchers in China were planning to continue the quest for understanding fundamental matter by building a giant particle accelerator, perhaps as large as 60 miles (100 kilometers) in circumference, which would transport physics into a new realm. Nadis and Yau describe this incredibly ambitious new effort and how this Great Collider could provide researchers with the best understanding yet of how the universe began and what it is made of. This is a compelling, and very timely, book. I encourage you to check it out.